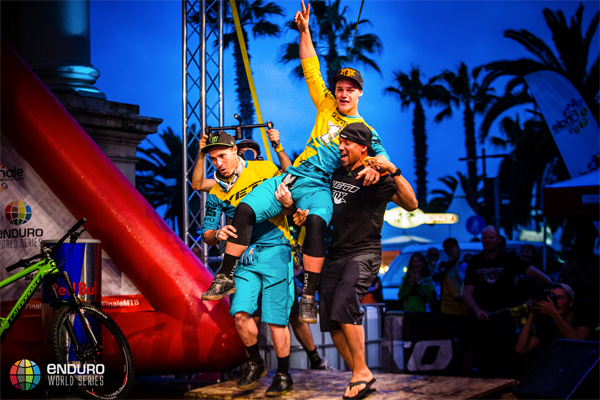 The final round of the Enduro World Series was a suitably dramatic ending to a season that encompassed eight rounds across eight countries and three continents. 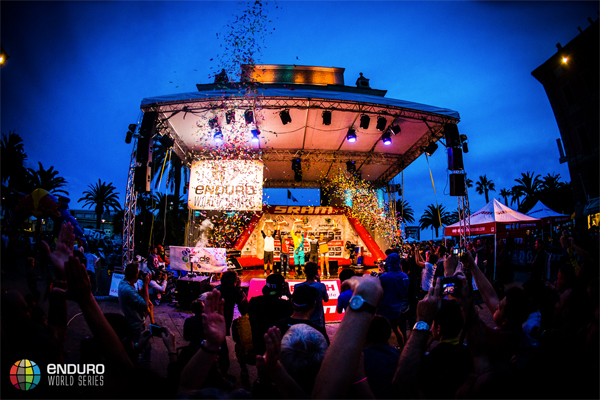 On the shores of the Mediterranean in Finale’s famous town square, Richie Rude and Tracy Moseley were named as the 2015 Enduro World Champions. And it was in the same setting that Fabien Barel and Tracy announced they would be hanging up their helmets and retiring from racing. The Superenduro powered by SRAM was the tightest fought race in the series’ history - with the top three men all within 2 seconds of each other. It was Jared Graves (Yeti/Fox Shox Factory Team) who won the race, with Fabien Barel (Canyon Factory Enduro Team) and Nico Vouilloz (Lapierre Gravity Republic) not far behind in second and third respectively. After 20 years of racing each other all around the world, less than a half second separated Barel and Vouilloz. But it was young American Richie Rude (Yeti/Fox Shox Factory Team) who eclipsed them all. Despite coming 11th in the race he was named the 2015 Enduro World Champion after an incredible season. 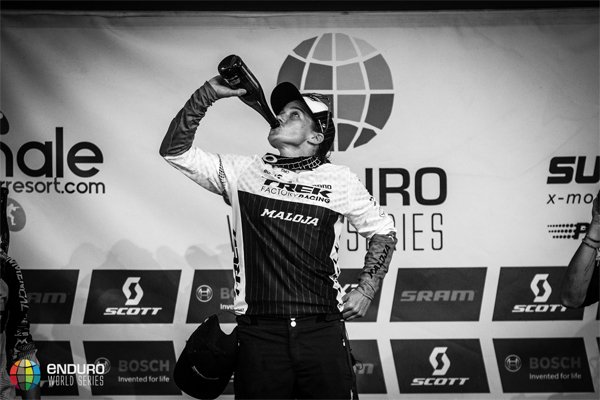 In the women’s race, it was Tracy Moseley (Trek Factory Racing Enduro Team) who triumphed in both the race and the championship as she claimed her third Enduro World Series Champion title. Her closest rival, Cecile Ravanel (Commencal Vallnord Enduro Team), had to settle for second place in both the race and the series. 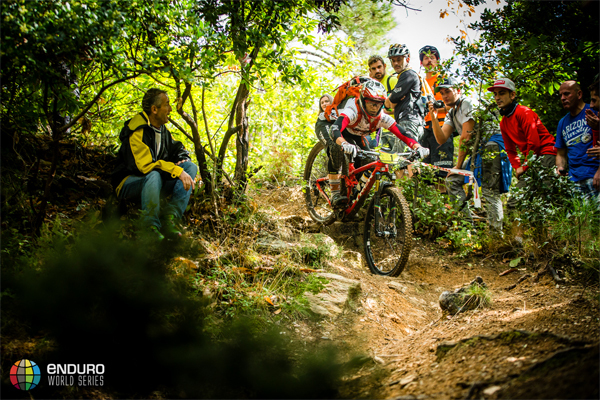 Ines Thoma (Canyon Factory Enduro Team) took her first trip to the EWS podium, after placing third in the race. However, a consistent year from Anneke Beerten saw her take third in the overall series points. In the U21 Women’s category, it was young rider Axelle Murigneux who was named World Champion, whilst fellow French rider Adrien Dailly (Lapierre Gravity Republic) took the U21 Men’s category. Woody Hole was named Master World Champion - not bad for a man who had a hip replacement just 18 months ago. A jubilant Canyon Factory Enduro Team took home the Team title. Speaking after her historic win, Tracy confirmed she wouldn’t be back to defend her title.